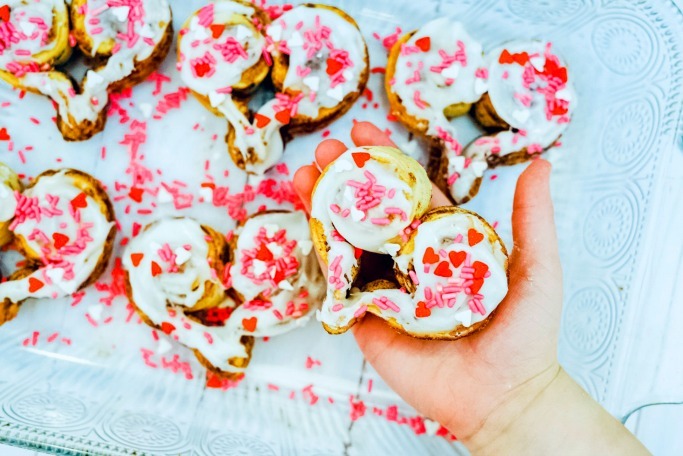 Especially for Valentine's, a cute hack to Trader Joe’s Jumbo Cinnamon Rolls, (vegan!). 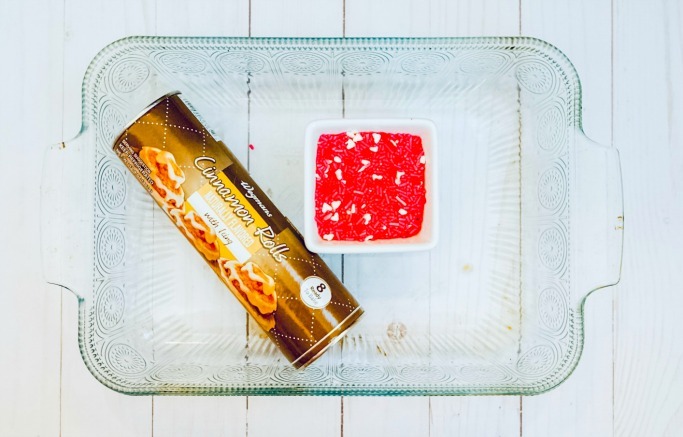 Btw, It's an amazing recipe to make with your kids, too! Happy Valentine’s Day, friends! Whether you are celebrating Valentine’s day or not, and without being too cheesy, the world always needs love, right? so let’s embrace the opportunity to spread the sprinkles and make something nice. 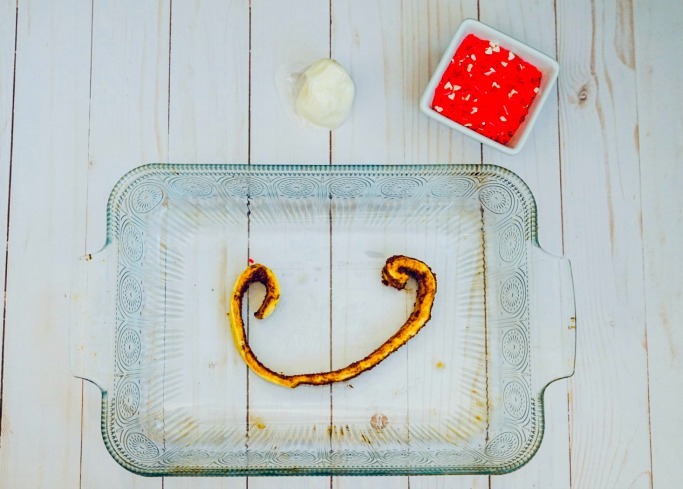 Especially for Valentine’s, we decided to help you out with an easy, beautiful, romantic dessert. 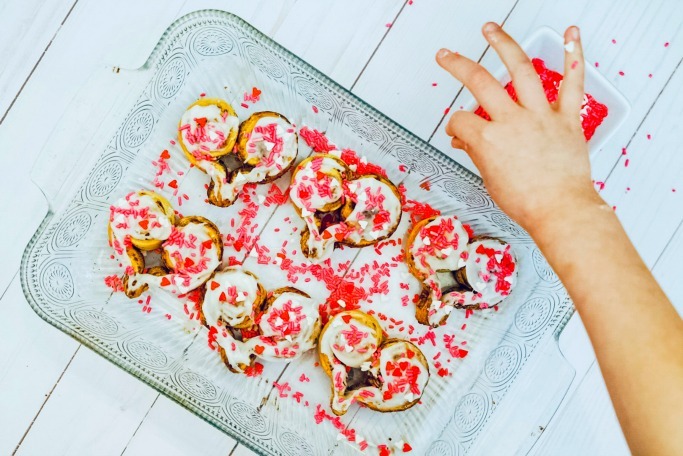 It is actually, a cute hack to Trader Joe’s Jumbo Cinnamon Rolls, (to our amazement it is vegan!). 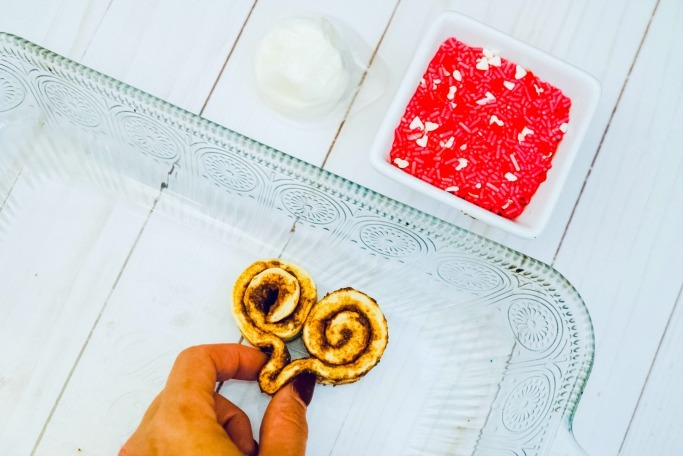 • Trader Joe’s Jumbo Cinnamon Rolls. 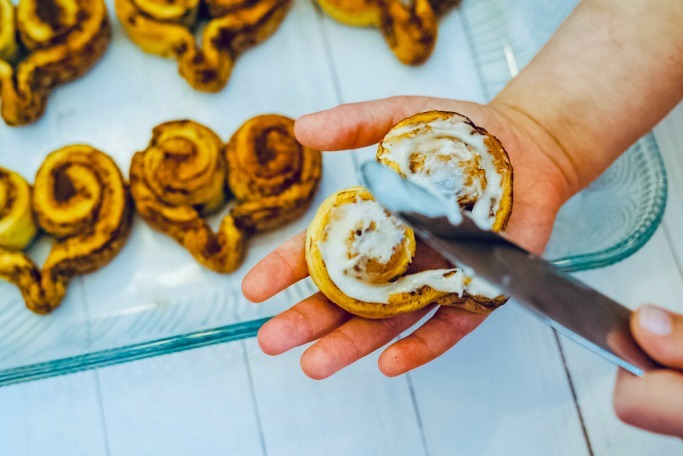 Take both corners of your Cinnamon Rolls and start rolling them to the middle. Once you reach the middle, pinch the bottom to make a point. Make sure to pinch together really good so the dough stays together during baking. 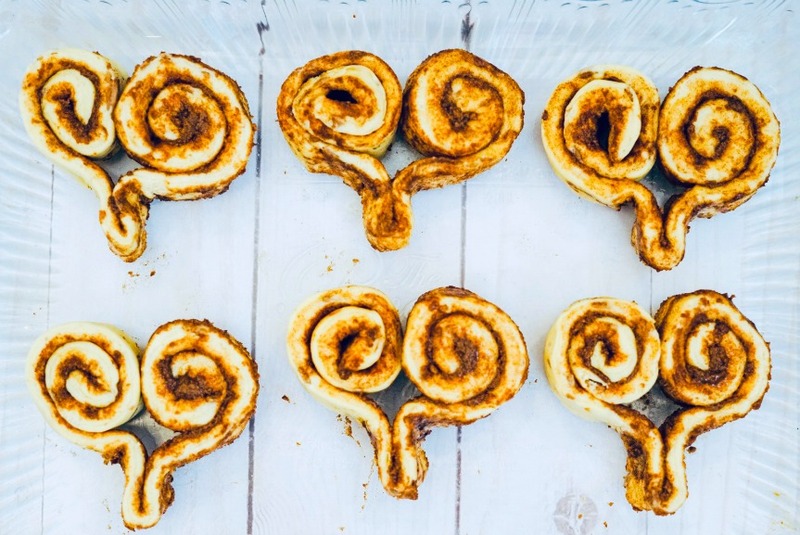 The Cinnamon Rolls will cook rather quickly when rolled like a heart, so keep an eye of them! Once your Cinnamon Rolls have finished baking and have fully cooled. (You wouldn’t want you or your kiddos burning their precious hands!) 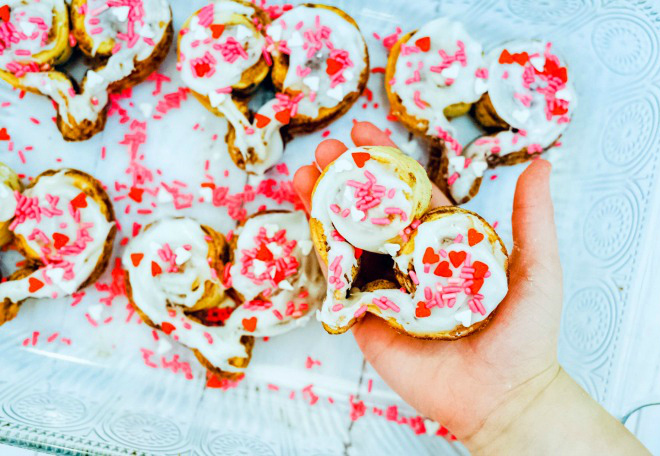 It’s time to start frosting the Valentine Heart Shaped Cinnamon Rolls. 5. Take those sprinkles and sprinkle away!! !